November 2nd, as many of you may know, is a very important Holiday in the Hispanic/Latino culture. This is the date, in which many of us honor our departed relatives, and create altars to remember them, and share some of their memories with other individuals. 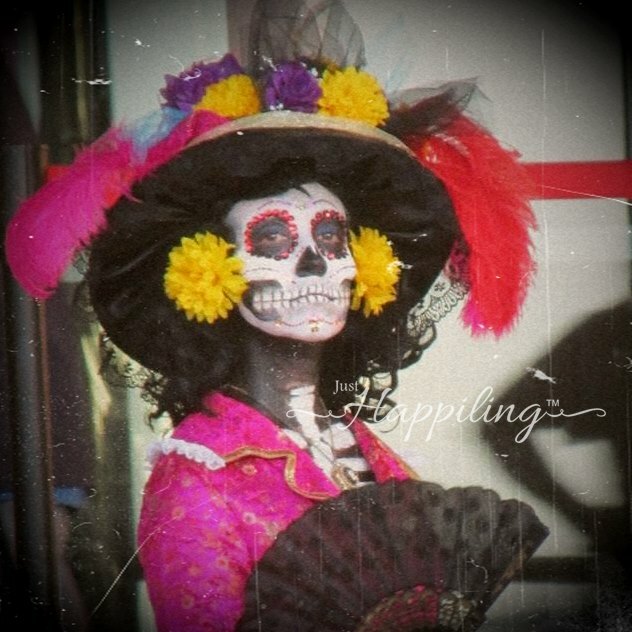 There are many traditions behind this celebration, and one of my favorites, is the creation of "Calaveras" which are funny poems in which the creator of such, describes how "La Catrina", or Lady Death, comes to take the individual who you are making the Calavera for. The fun part of it is, that you have to write the rhyme in a way that includes the virtues, or characteristics of that individual. I always found it fun to read them at the schools or news papers. Honestly, it is an honor to have one written, because it means that someone had the interest to pay attention to your virtues or characteristics, and came up with a funny way on how you might have passed to a better life. Some of my relatives like making a "big" celebration, and create a huge altar in which several relatives add photos of family members that have gone. It is a great way to see pictures of your ancestors that you didn´t even know existed. I always make copies for my family tree project. In a way, most of the celebration is a culturally rich means for artistic expression, that shows respect and admiration. And though I love Halloween, which is an Americanized Holiday, I also love that The Day of the Dead is being adopted by people around the world as a Holiday to be celebrated as well. All in all, it is a beautiful day. In my opinion, you can´t fully celebrate life, if you don´t appreciate death. Plus, it is always nice to know that you will never be forgotten. 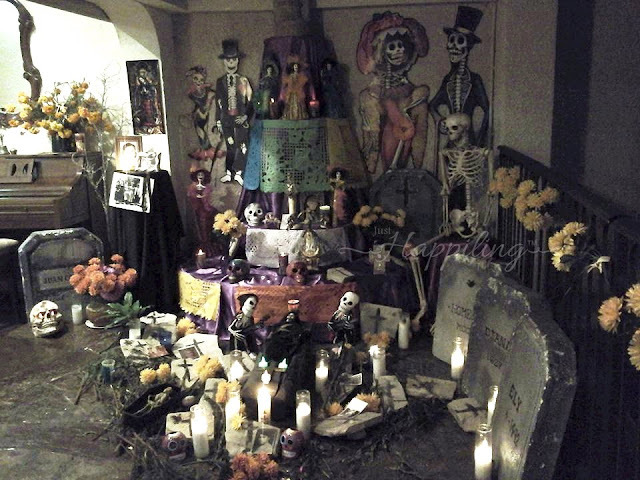 This picture you see above, is from a Dia de Muertos altar that was created in 2006 or 2007 at the Parque Fundidora (The Foundry Park or Fundidora Park) in Monterrey, Nuevo Leon, Mexico. This altar was made to honor those that died tragically in an accident that occurred at this place, while it was still operating as a foundry. Now at days, this park/museum, is not only a reminder of what once was, but has also become an iconic and touristic place for the culture of the region. Concerts, and many other cultural events are celebrated in this park of both national and international importance. If you ever visit Monterrey, be sure to stop by this place. The picture above was taken during last year´s Catrina contest at the Museum of Mexican History, Downtown Monterrey, Mexico. I hope I can share fun pictures from the Celebration from our collaborators in Mexico. I did create some art though, so that all of you can have the spirit of this Holiday with you, if you choose so. 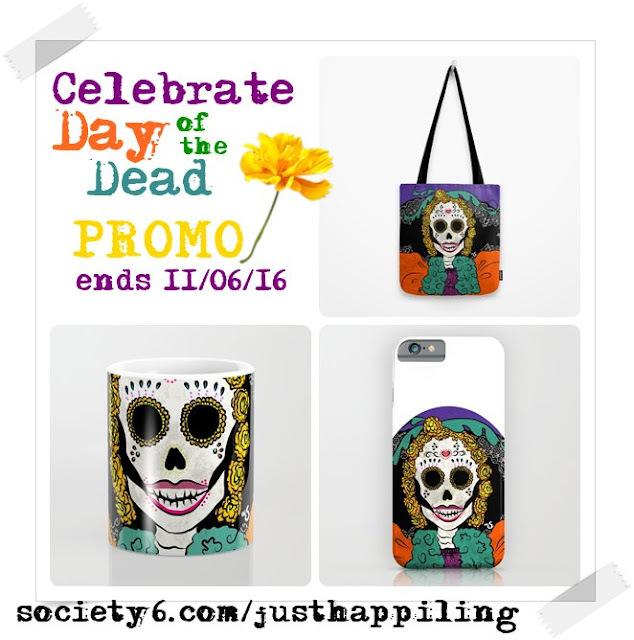 Celebrate with us, with $5 usd off, from any of the products sold at our Society6 shop + Free world wide shipping. and buy any products in our Just Happiling shop. 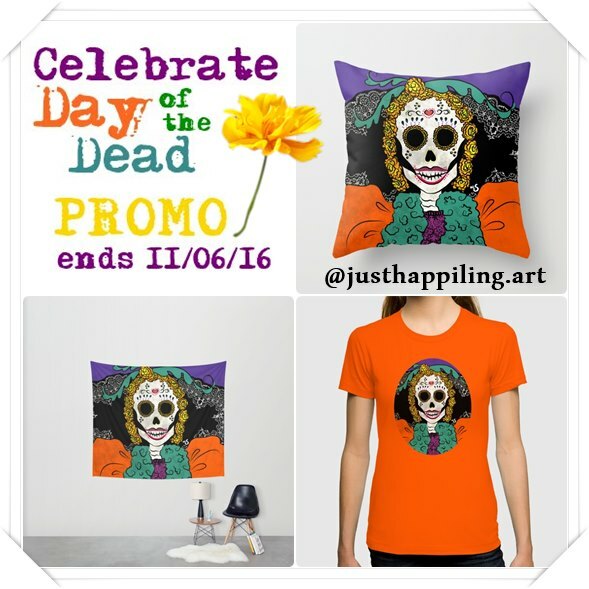 It´s a great way to start your Holiday shopping. 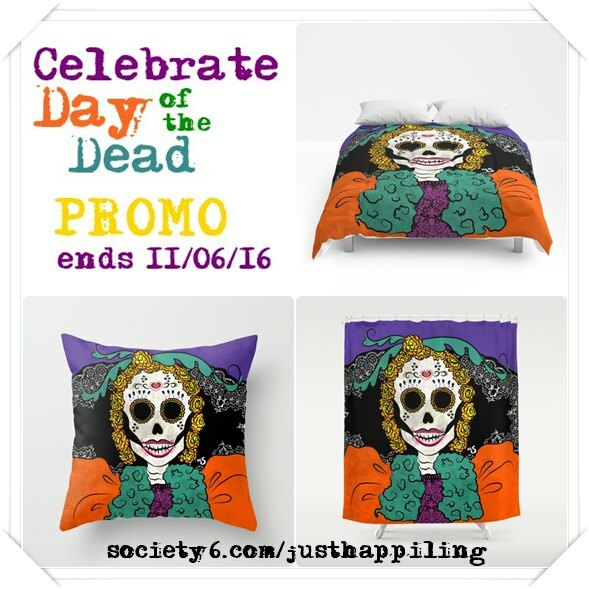 Offer expires on November 6th, 2016 at midnight. How do you celebrate this Holiday? If you don´t, have you thought about it? If you are from a different culture, do you have something similar to this Hispanic Celebration? I would love to know. 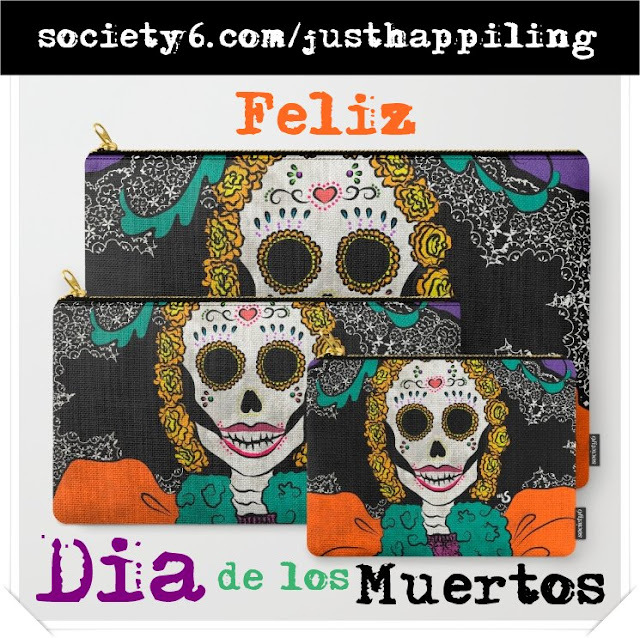 Thank you, and don´t forget to follow us all over social media for updates on cool things happening at @justhappiling and for our products, @justhappiling.art on Instagram. You can also see loads of our featured products in the link on our Shop tab on the top of this blog.